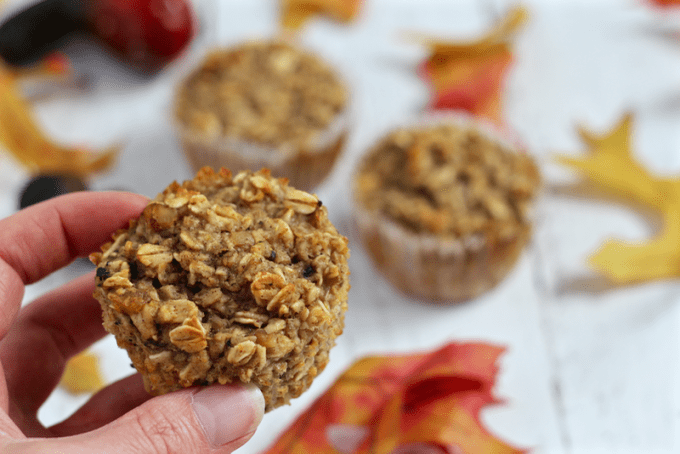 These gluten-free zucchini muffins are naturally sweetened and full of goodness with oats, banana, applesauce and zucchini – great for a healthy school lunch! 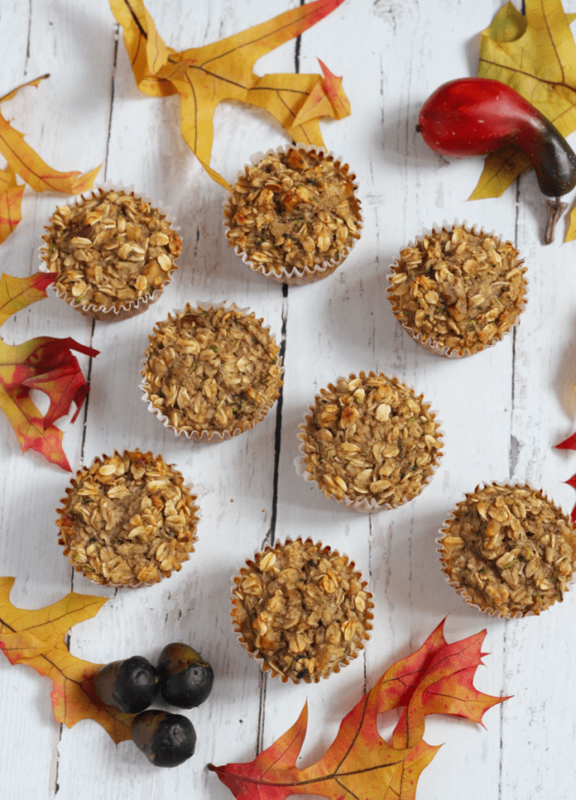 These muffins have ALL the good stuff! 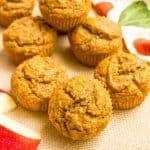 They are 100% whole grain (gluten-free even) with zucchini, applesauce and bananas, plus they are naturally sweetened with honey. And they are peanut-free so I can send them to preschool for lunch for my kids, who go to a peanut-free facility. If you need them totally nut-free, just leave out the walnuts. No biggie. 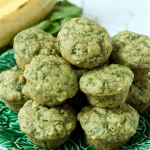 I made these gluten-free zucchini muffins most recently for two new moms in my life. Both are second-time moms, with toddlers to care for, so I wanted to take them foods that would be good for the whole family. It’s hard that second time around, when you don’t get to rest as much. There’s no napping when the baby naps if you have a toddler or preschooler tearing around, demanding every bit of extra attention and affection. Plus, they still must eat. You can tell your husband or partner to figure it out for themselves, but a 2-year-old? One told me the extras never made it to the freezer 😊 Guess I’ll just have to send her home with some more! 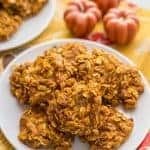 But they do freeze great, so you can keep them on hand for school lunches and even snacks or breakfasts. I adore a muffin that can be eaten any time of day! 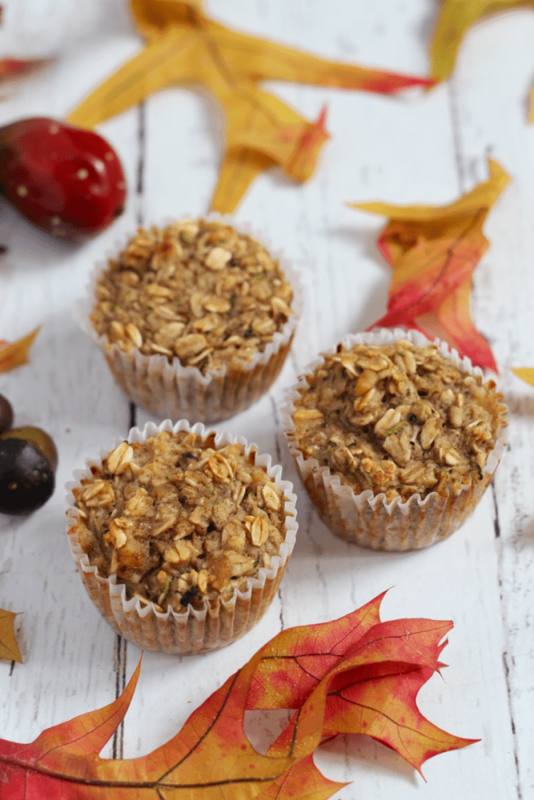 Get a taste of fall with these feel-good harvest gluten-free zucchini muffins. 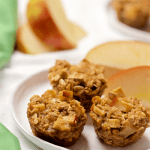 Healthy harvest zucchini muffins feature oats, bananas, applesauce and walnuts. Preheat oven to 375. Prepare muffin tins by filling each muffin cup with a paper liner and spraying with nonstick spray. Mix dry ingredients(oats through salt) together in a large bowl. Separately, mash banana and mix remaining wet ingredients in a small bow (bananas through vanilla extract). Stir until well combined. Stir the wet ingredients into the dry ingredients and mix until well-combined. Spoon the mixture into the prepared muffin tin, filling each cup almost to the top. Bake at 375 for 20-25 minutes, until golden brown and a toothpick inserted in the center comes out clean. You can omit the walnuts if you want these to be completely nut-free. Get on it, girl! Really helps baked good stay light and moist, plus some added veggies never hurt. 😉 Have a great weekend! 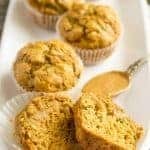 can we make without egg, harvest zucchini muffins. Hi Kiran! I haven’t tried it, but I’m sure you could substitute a flax egg here. Hope you try them! My muffins taste great but sorts fell apart. I don’t usually use papers just spray the tin for muffins, with good results.Do you think that made the difference in their stability? Hi Susan! I use papers AND cooking spray, which I think helps prevent them from sticking, especially since they’re low-fat. I also think it helps to let them cool before removing and eating – helps them set up a bit more. Hope those tips help! These muffins look and sounds delicious! And on top of all of that… they are healthy! Thanks for sharing! We ate them up! Thanks for stopping by 🙂 And cheers to a good week ahead! Yum Kathryn these look great! I’ve just recently started baking with zucchini and I love it! 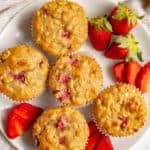 These look awesome, I love myself a muffin and will for sure be giving these a try! Thanks for sharing at #ThrowbackThursday and hope to see you this week! Thanks Alli! These are really tasty – hope you enjoy! And I will definitely be back… thanks for hosting such an awesome party! Thanks. Will probably make these soon. As it’s just me I will keep out a couple & freeze the rest so I can have a muffin any time. They sound so good. I’m wondering if maple syrup could be used in place of honey and if coconut milk (canned) could be used for the milk. Hi! Yes, you can definitely sub maple syrup for the honey and I think coconut milk should work too. Would love to hear if you try it! Hi Jean! I haven’t tried them as mini muffins but I think that should work just fine! I usually bake mini-sized muffins for about 15-18 minutes. Hope that helps! What can i use in place of applesauce? Hi Wanda! You can use canola/vegetable oil in place of the applesauce if you’d like. You could also try coconut oil or butter (melted). Hope that helps! Hi Kathryn, thanks for the reply. The recipe calls for 1/2 cup applesauce, so I’ll replace it with 1/2 cup oil of choice? Aww, thanks Wanda! And yes, it would be a 1:1 substitution so use 1/2 cup of the oil. Hope you love them! Hi Lauren! You’ll want to end up with about 2/3 to 3/4 cup of grated zucchini AFTER you have squeezed the water out and it’s in a packed ball. Hope that helps and hope you love these muffins! These were better the second day but are way too wet. I would have preferred a more exact measurement of zucchini and bananas as with the inexact amount, who knows if I got it right. I was not happy with the final product and they had to bake way longer to dry them out enough with all the moisture. These seem more like oatmeal in a muffin tin than a muffin. In order to make them more palatable, I would have to tinker too much with ingredients and am not inclined to do so. Won’t save and use this recipe again. I’m really sorry these didn’t turn out for you Gayle. I’ve made them multiple times without any trouble so I’m not sure what went wrong but I know that’s frustrating. Probably bigger bananas than what you used and maybe bigger zukes too. I loved that this was such a healthy recipe but wish the zucchini and bananas had had at least an approximate cup measurement. That would have helped, I think.